A deadly virus rips the bloody hell out of an A-list cast in “Contagion”, a heart pounding thriller from director Steven Soderbergh. Gwyneth Paltrow goes first, after acquiring the virus during a trip to Hong Kong. Her husband, Matt Damon, is immune. But the rest of the world is not. People from around the globe are infected; a Ukrainian model in London, a Japanese businessman, and a young man back in Hong Kong. Soon, it appears that the virus is something that’s never been seen before, and we meet the men and women desperately trying to stop it in its tracks. This includes Laurence Fishburne, Marion Cotillard, Kate Winslet, Jennifer Ehle and Jude Law (what a list!). Ok, no more spoilers. All you need to know is that you won’t be feeling good after seeing this cautionary tale, shot in docudrama style. But you won’t be able to take your eyes off the screen either. The subject couldn’t be more serious, and it works, mainly because it’s so completely credible and terrifying. 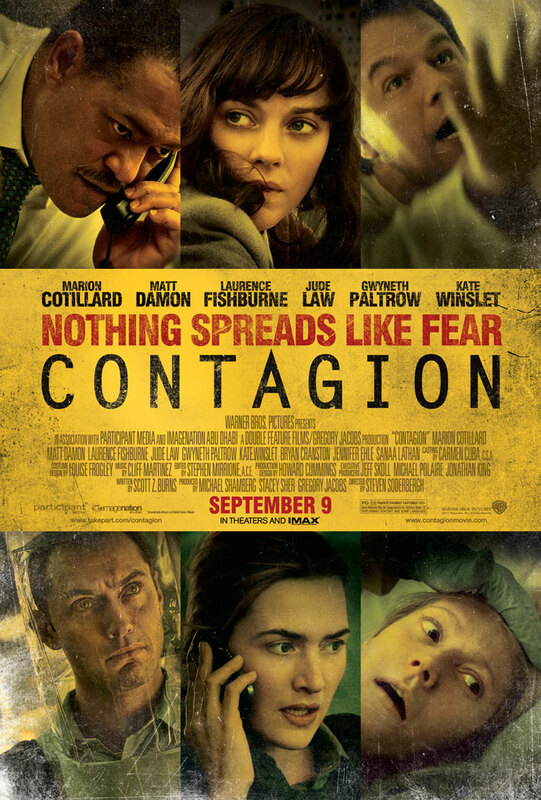 And just like other films of this kind (“Outbreak” and “28 Days Later” come to mind), “Contagion” cleverly shows how one or two people could spread a lethal strain of virus in a matter of days, hours even. Director Soderbergh creates an atmosphere of panic and fear, and the film moves like a train that refuses to stop. If nothing else, you won’t get bored at all. But in case you are looking for a moral lesson, you won’t find it here. “Contagion” doesn’t pretend to have all the answers. It simply wants to come at you like a beast in the dark. Allow it.